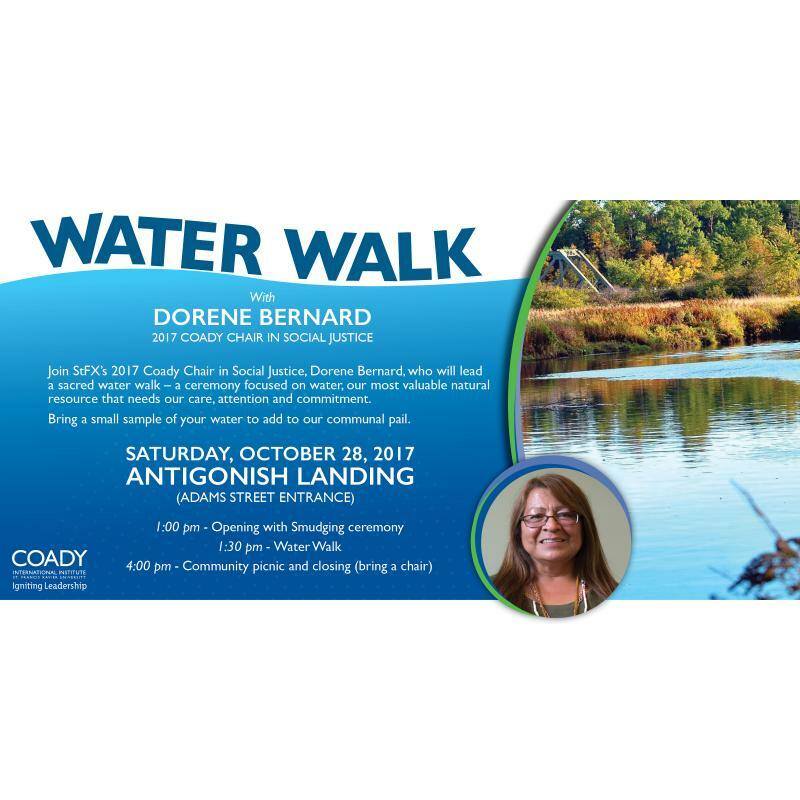 WATER WALK with Dorene Bernard, 2017 Coady Chair in Social Justice. Join StFX’s 2017 Coady Chair in Social Justice, Dorene Bernard, who will lead a sacred water walk – a ceremony focused on water, our most valuable natural resource that needs our care, attention and commitment. Bring a small sample of your water to add to our communal pail.